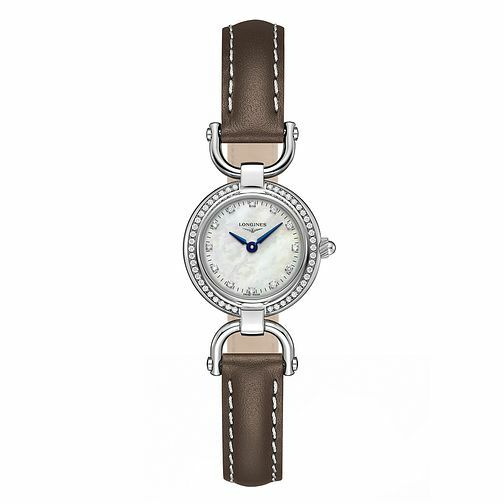 An undeniably sophisticated ladies' leather strap watch from the Equestrian collection by Longines. Crafted with a stainless steel case, and mother of pearl dial set with diamond markers, complemented by a glittering glittering set bezel. A truly luxurious timepiece for the elegant modern woman.